There is a ton of valuable, free material on this website but maybe you need some time with Kathleen to discuss the challenges you’re facing in your practice? 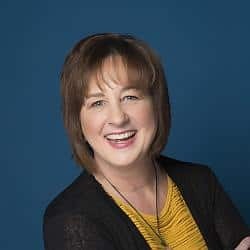 Kathleen Mills has run a very successful practice for over 28 years and now you can put that experience to work for you in her new, “Free-Style Consult”, package. See below for the details, and if you choose to meet with Kathleen we suggest you begin with (1) hour for your first meeting. We offer several different blocks of time depending upon your needs. You decide how much time you want. You pick the time-block package that you think will work best for you. Then we'll send you a questionnaire that must be completed at least 3 business days prior to the meeting. This will give Kathleen adequate time to review your concerns. You pick the topic, or topics to be discussed, of course and we suggest you limit it to no more than (2) so that adequate time can be given to each one. If you live in the DFW area, all consults are held in Kathleen's offices in Addison, TX. Not local? Then all you'll need is a telephone! Register now and let's get your time with Kathleen scheduled!